Get ready to swing your clubs, hear the crack of a bat and glide across the ice at our sports venues in Frederick County. Home to over 10 golf courses, including P.B. Dye Golf Club, Whiskey Creek Golf Club and Worthington Manor Golf Club, there is a course for every skill level. The Frederick Keys, a single A affiliate of the Baltimore Orioles, take on clubs in the Carolina League at their stadium in Frederick. 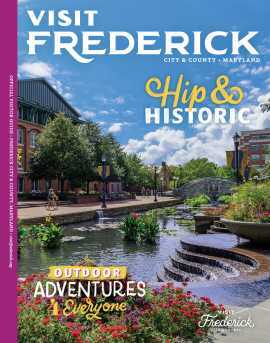 With miles of paved roads and mountain trails, bicycle enthusiasts can explore the sites and sounds of Frederick County from two wheels. Every August, the National Clustered Spires High Wheel Race comes to Downtown Frederick. Cyclists compete in a criterium (multi-lap) race of along a 0.4 mile route through historic Downtown Frederick.